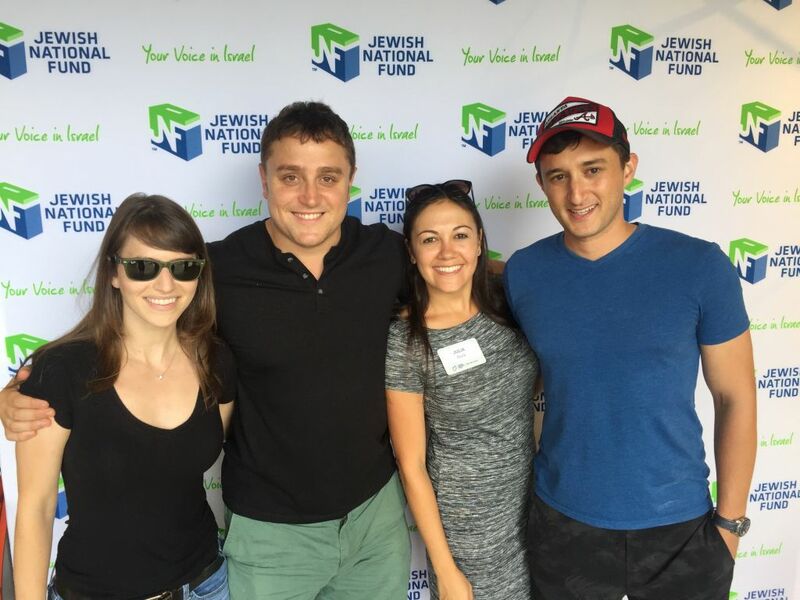 Young adult professionals unite to support JNF's Project Baseball promoting softball and baseball in Israel. Mayaan Cook, Andrew Levison, Julia Gluck and Jacob Gluck enjoy the sunny weather in the Home Depot Clubhouse in left-center field. 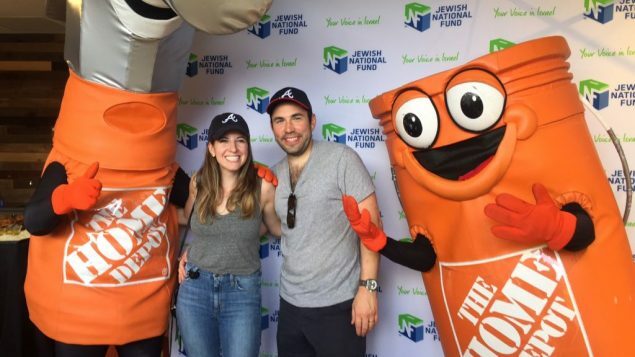 JNFuture Atlanta, Jewish National Fund’s recently relaunched young professional organization, hosted an event at SunTrust Park on Sunday, July 16, during the Braves’ 7-1 win over the Diamondbacks, to support JNF Project Baseball, which aims to grow baseball and softball in Israel. 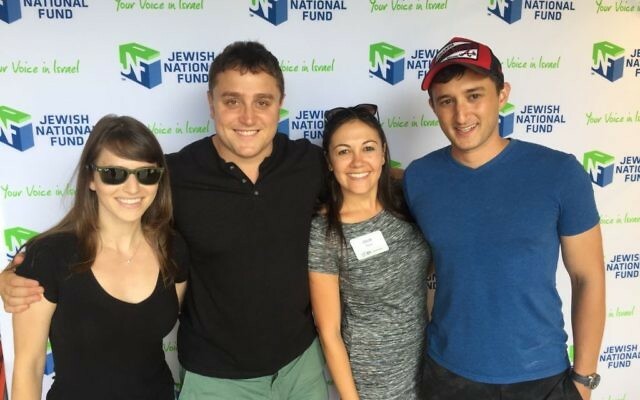 Project Baseball builds updated baseball and softball fields throughout the country and teaches the sports to Israeli youths through leagues, summer camps and clinics. The JNFuture baseball event delivers a winning view at SunTrust Park. 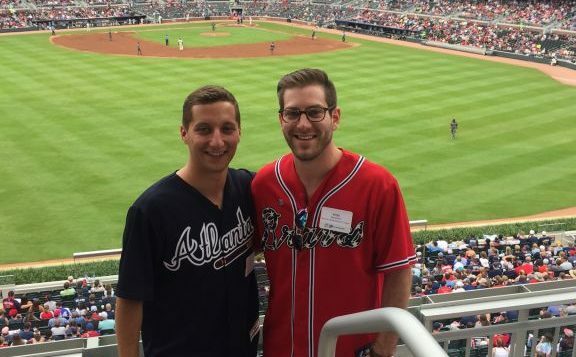 Ross Boardman and Joel Mehler take in the Braves game from the Home Depot Clubhouse. JNFuture, which first started in Atlanta about a decade ago and relaunched in December, had its first event in February. On July 16, the group met in the Home Depot Clubhouse at SunTrust Park. The Home Depot hammer and bucket join in the JNFuture fun.